SNOT stands for Studs Not On Top and is used to refer to any building technique where you don’t directly stack one brick on top of the other. 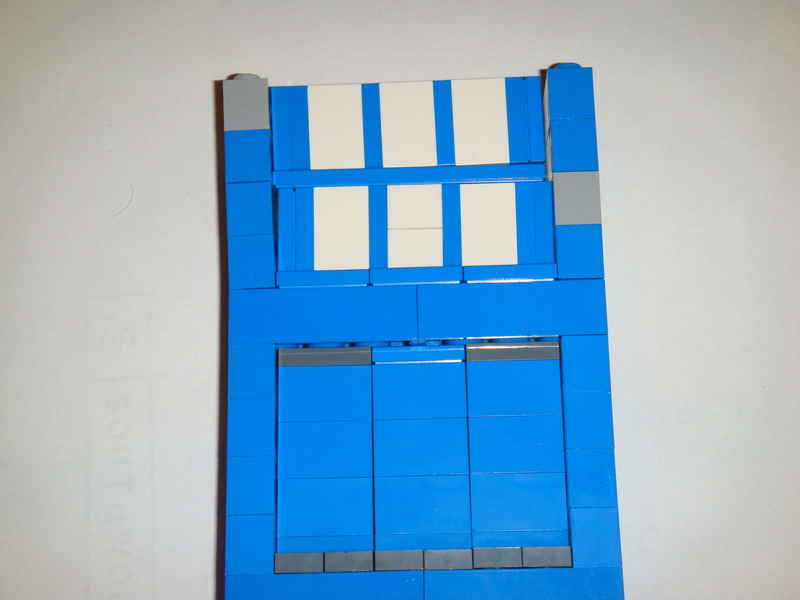 In the instance of the TARDIS, the windows are SNOT because it’s the only way to get the proper framing on the windows and get the thin blue frame between the white windows. 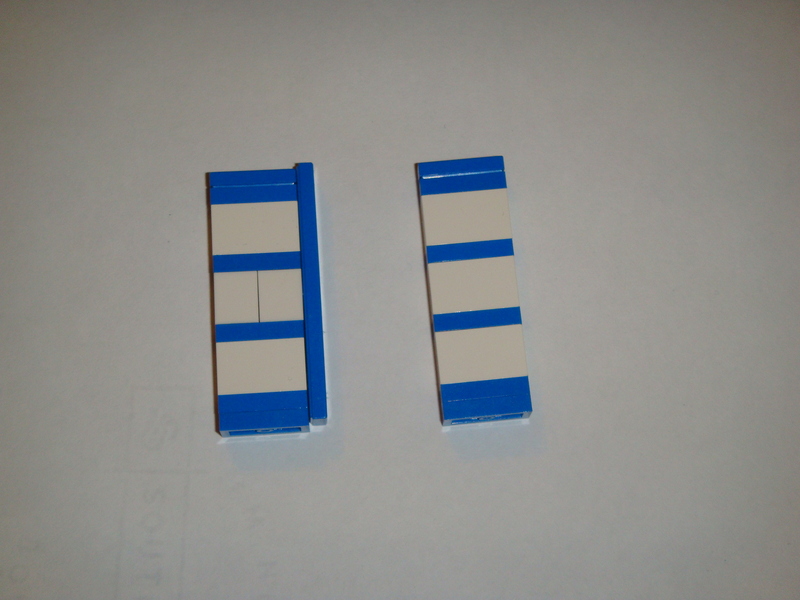 If the bricks were stacked directly, I would be able to get the horizontal frames but not the vertical frames. The windows themselves were an alternating stack of blue plates and white bricks with a blue tile on top. 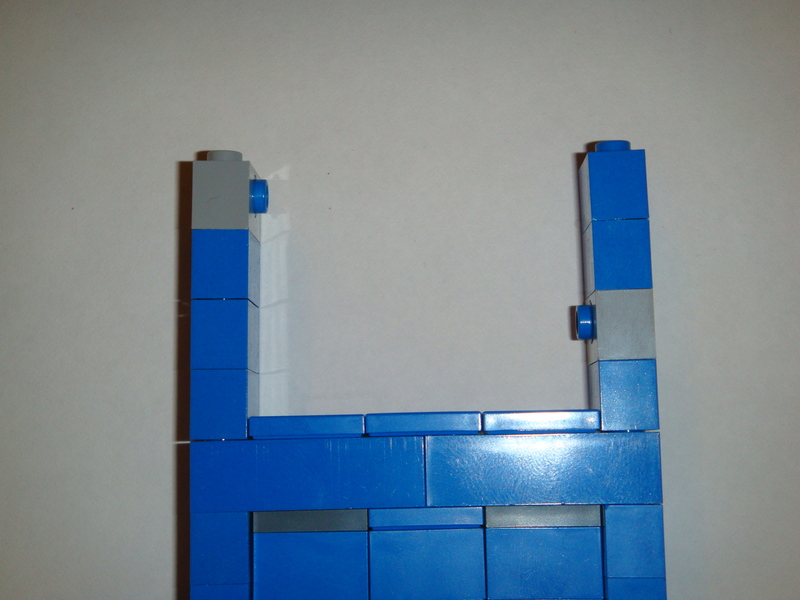 The bottom stack replaced the middle white brick with a 1 x 1 brick and a 1 x 1 brick that holds a pin to hold a 1 x 6 tile for the middle frame. 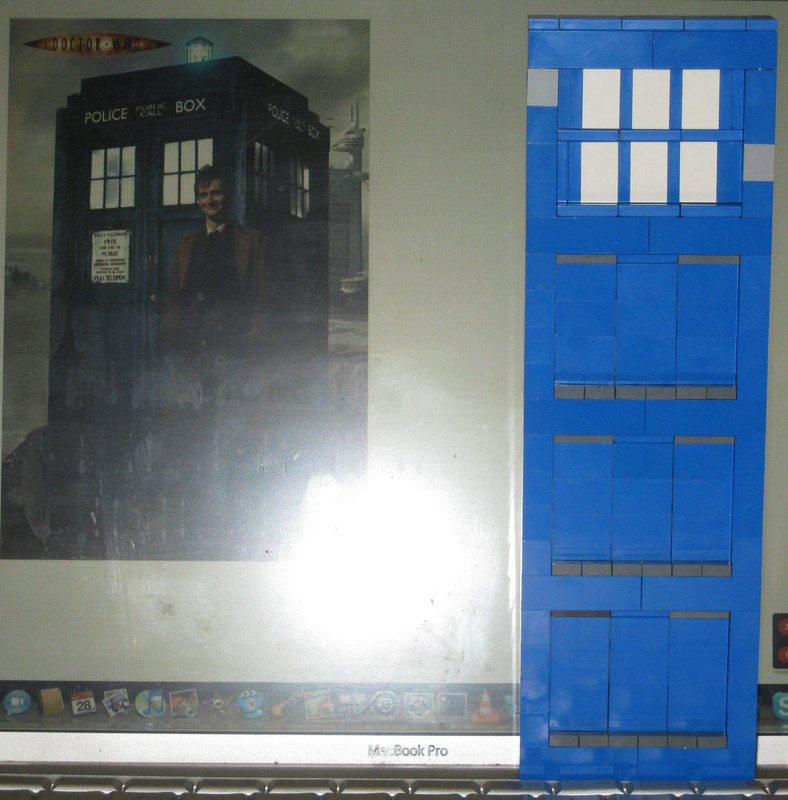 They are both held by similar pins sticking into the inside of the door from 1 x 2 bricks with a hole in the middle to accomodate the pins. The bricks on top hold the sides in tight to keep the SNOT windows in tight. There are two 2 x 4 bricks placed on top then locked in with the pieces that made up the roof. 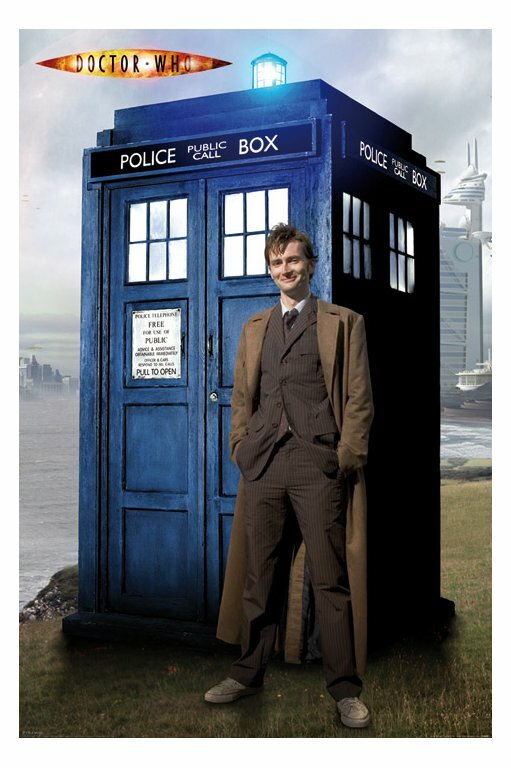 Once locked in, these windows give the proper appearance of the TARDIS as seen in the picture of David Tennant with his TARDIS. I hope this has given a better understanding of the SNOT technique used to make the windows of the TARDIS. The pictures above are from the original prototype for the designs. Although the colors don’t match entirely (most of the final pieces are blue), it helps in the demonstration of my building. If you have any other questions about this building technique (or any others that I use), feel free to let me know below.